Despite NZD, USD is being empowered due to the US economic growth. 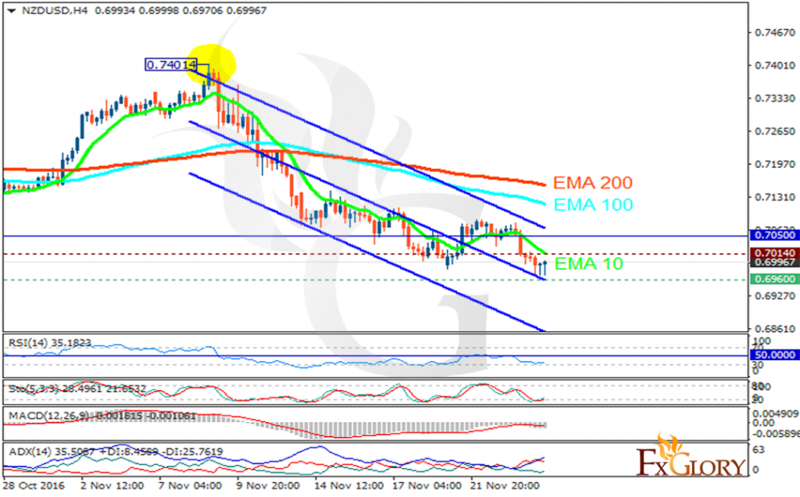 The support rests in 0.69600 with resistance at 0.70140 which both lines are below the weekly pivot point at 0.70500. The EMA of 10 is moving with bearish bias and it is located below the EMA of 100 and the EMA of 200. The RSI is growing towards the 50 level, the MACD indicator is in neutral territory and the Stochastic is moving in its minimum rate. The ADX is showing sell signal. The pair is not going to fall below the support zone, therefore long positions are recommended targeting 0.7100 area.